I sometimes get a little obsessed with things, completely out of the blue and for reasons that I don’t always understand. Trying out the new Valentino fragrance, Valentina Assoluto Eau de Parfum Intense, became one of those things. It is supposed to be an entirely new take on Valentino’s popular Valentina perfume but, according to its creator, the well-known Olivier Cresp, it is not a flanker. (Yes, actually it is.) Instead, it’s supposed to be a new, smoldering “seductive” and “nocturnal” take on a chypre with only some of the original Valentina‘s facets and supposedly, none of the latter’s strawberry heart. The alluring fruitness of a sensual smeggia peach enhanced with white Alba truffle. The magnetism of a precious white flower bouquet, touched by delicate vanilla. The mystery of a voluptuous chypre signature, fusion of patchouli, oakmoss and vibrant cedar wood. Key notes: bergamot, peach, white truffle, jasmine, tuberose, cedarwood, patchouli, oakmoss, Madagascar vanilla. I should note that the text copy for Nordstrom mentions orange blossom too, which I think is also in the perfume. The more important thing, however, is what no-one mentions: strawberries. It is the key note of the original Valentina and, to my nose, is also a big part of the Assoluto sequel. Fragrantica classifies the perfume as a “Chypre Floral.” I think that is following the ad copy far too slavishly. Valentina Assoluto is a fruity floral scent, first and foremost, with a heavy emphasis on “fruity;” it is an oakmoss or chypre fragrance only by the very loosest possible definition. Valentina Assoluto opens on my skin with a forceful sweetness that strongly calls to mind those candies like a Jolly Rancher or something similar. 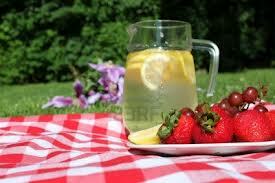 There is a note of heavy, over-ripe, lush peaches which almost immediately turns to strawberries. The fruit is macerated with sugar, almost like a syrup that you see on some desserts. Its sweetness just barely falls short of strawberry jam. Seconds later, there is a dry undertone of some vaguely abstract, amorphous “chypre” element, but it is extremely faint. Much stronger is the patchouli and an undertone of vanilla. Minutes later, a very muted sort of earthiness appears, and it feels like white truffle — except it’s buried under piles of strawberry syrup. There is also a vague hint of something citrusy but it’s minimal. The strawberries turn even sweeter and, though they occasionally have ripe peaches as an undertone, they are the main star of the show at this stage. I haven’t the faintest idea how any of this is supposed to be “nocturnal.” I feel quite ready for a summer picnic with strawberry desserts in the bright, cheerful sun. I think those who love sugar bombs like Victor & Rolf‘s Flowerbomb will love this part of the perfume because it’s very exuberant and happy. Those who prefer more modulated, more well-balanced and less sugared florals will find this to be excessive. Exactly fifteen minutes after the start, Valentina Assoluto turns dry and woody. It happened almost on the dot on both occasions that I tested the perfume. There is smoky cedar which appears and which slowly starts to muscle the strawberries to the side. There are subtle elements of jasmine, but like the patchouli and vanilla of the opening minutes, it’s merely flickering at the outside edges. Instead, the perfume turns a smoky, lightly peppered cedar fragrance on the base of some amorphously abstract fruity elements. At its final moments, Valentino Assoluto became a simple, light mix of woods with tiny touches of vanilla, patchouli and musk. I have to admit, I find the whole thing incredibly odd. For one thing, I’m not familiar with a plethora of strawberry fragrances. For another, the rapidity of the abrupt and very sharp change is quite unusual. To go from a candy-sweet fruity fragrance to a very dry, peppered, smoky cedar one is quite a contrast. And in fifteen minutes?! Odder still is the unusual juxtaposition of notes. Cedar and strawberries? I have to give points for huge originality. I suspect the sharp transition would have been made smoother if I’d smelled the actual Alba truffle in the opening; its earthiness might have provided a bridge between stages, as would some of the floral elements. To my sadness, there was no tuberose on my skin. In the same vein, some freshness from the citrus notes would have helped alleviate the incredible sweetness of the scent. But, on my skin, none of those things happened on both occasions that I tested the perfume. Valentina Assoluto is barely floral and has little to no earthy truffle, fresh citrus, or pungent oakmoss. The whole thing is extremely light and surprisingly sheer given the heaviness of the initial sugary notes. The perfume is strong for about five minutes but then quickly drops in sillage, hovering mere inches above the skin for about forty minutes, until turning into a skin scent. The first time I tested the perfume, I applied about 4 sprays and it lasted just over two and a half hours on my skin. The second time, I applied 2 sprays, and the perfume died after an hour and thirty minutes. Yes, I have perfume-consuming skin but, looking at Fragrantica, I was not the only one who had troubles with longevity. I suspect fans of the original Valentina might like this one, since a few comments on Fragrantica lead me to believe they are extremely similar for the most part. Interestingly, a number of people seem to have experience a lot of tuberose in the scent — which I did not. The overall reviews on the site seem to be quite mixed, with people expressing everything from huge love, to those less enamoured of its “sweet, sweet, sweet” nature and a few being bewildered by how it turns “very woody.” Some simply couldn’t bear the heavy tuberose/patchouli combination. Personally, I was disappointed by just how unremarkable it was; it’s not complex, nuanced, well-balanced, or long-lasting. And, even by the standards of mass-market fragrances, it’s a little boring. But if you like extraordinarily sweet perfumes with a suddenly dry twist, if you prefer sugared skin scents, or if you loved the original, then you may want to give this one a try. For everyone else, you may enjoy Valentino’s short “behind the scenes” clip for the campaign shot by David Sims and featuring the model, Freja Beha Erichsen, in a gorgeous backless Valentino dress. 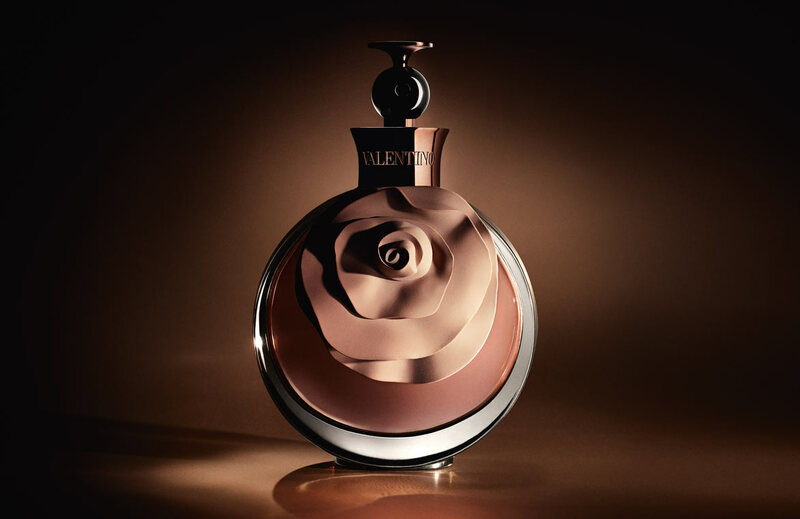 Valentina Assoluto Eau de Parfum Intense is available on the Valentino website where it retails for €82 for a 50 ml/1.7 oz bottle or €106 for the 80 ml/2.7 oz size. The perfume only comes in Eau de Parfum concentration. Valentino also has a list of countries that it ships to and a store locator on its website. In the US, you can find Valentina Assoluto at Nordstrom where it costs $88 for the small size and $117 for the larger one. Nordstrom also has a gift set for $119 which includes a body lotion in addition to the large 2.7 oz bottle. The site also sells all sorts of accompanying products to go with the scent. In the UK, it is available at Harvey Nichols or Harrods where it retails for £61.00 for the smaller 50 ml/1.7 oz bottle. John Lewis seems to be selling it at a slight discount of £54.90. In Europe, some of the Sephora online sites — like Sephora Italy — seem to carry it, so you may want to check the Sephora for your country. In Australia, I found the perfume offered on Cosmetics Now for AUD$112.95 and $146.95, depending on size.